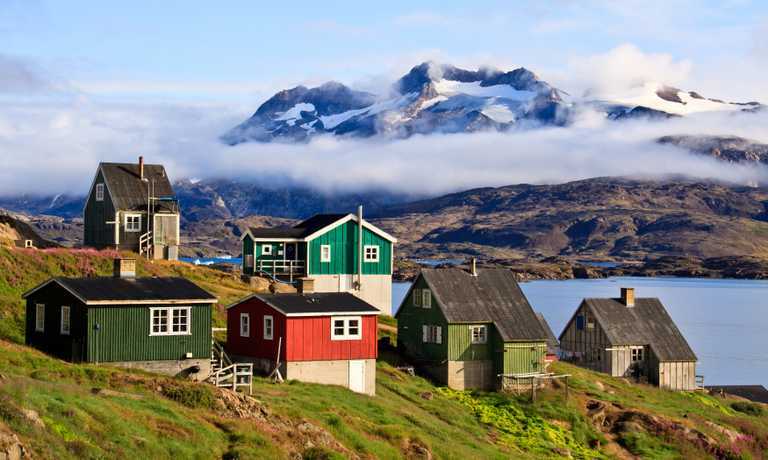 Beginning deep inside the High Arctic and finishing in subarctic Iceland, we like this voyage for its diversity, sense of journey and extended time exploring East Greenland. Zodiac cruising amongst towering icebergs, glimpsing the Northern Light and tracking musk oxen will keep you busy. We arrive in Longyearbyen, on Spitsbergen, the administrative capital of the Spitsbergen archipelago of which West Spitsbergen is the largest island. Before embarking there is an opportunity to visit this former mining village. The Parish Church and the Polar Museum are well worth visiting. In the early evening the ship will sail out of Isfjorden. We sail into Raudfjord on the north coast of West Spitsbergen, a beautiful fjord with spectacular glaciers. It is home to Ringed and Bearded Seal, seabird colonies and a surprisingly rich vegetation. We have good chances to see polar bear, for instance near Hamilton Glacier, or more to the head of the fjord. From there we continue to Moffen Island on which walrus haul out. Approaching Greenland we will attempt to sail through the sea ice into Foster Bugt, making our first landing at Myggebugten. Beyond the old hunters' hut (in the first half of last century Norwegian trappers hunted here for polar bear and arctic fox) there is an extensive tundra populated by musk oxen. The small lakes are home to geese. We sail through Kaiser Franz Joseph Fjord, a magnificent fjord with towering mountains on both sides, its inner reaches choked with huge icebergs. An alternative is Sofia Sund, which is much narrower. We land at Blomster Bugt where you might spot the arctic hare. We will land at Blomster Bugt to view the beautiful geological formations. Arctic hare are usually seen here, and there is a lake with Great Northern Diver and their young. In the afternoon we sail along Teufelschloss and Ella Island and may land at a beautiful spot in the early evening. In the morning we enter Segelsalskapets Fjord with the beautiful Berzelius Mountains on the north side. We will land on the south side of the fjord in an astounding place where the ancient sedimentary geology is literally at your feet. A hike will take us near a small lake with good chances to see muskoxen, arctic hare and ptarmigan. In the afternoon the ship will venture into Alpe Fjord, which is as spectacular as the name implies. We may embark on a long zodiac cruise around the Gully Glacier which once blocked the access to the interior of the fjord and venture deep inside to the very end. Adventure at its finest! 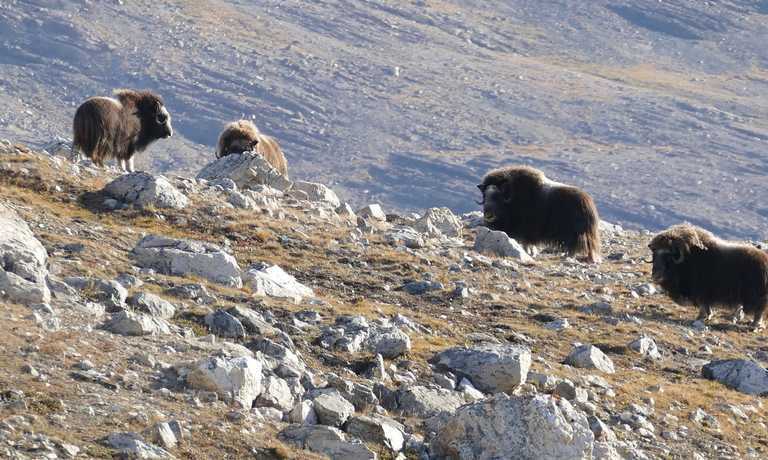 The first half of the day you spend in Antarcticahavn, an extensive valley where you can spot groups of musk oxen. At this time of year, the sparse vegetation is dressed in the fiery colors of autumn. Today you reach Scoresbysund, sailing along the glaciated Volquart Boons Kyst. 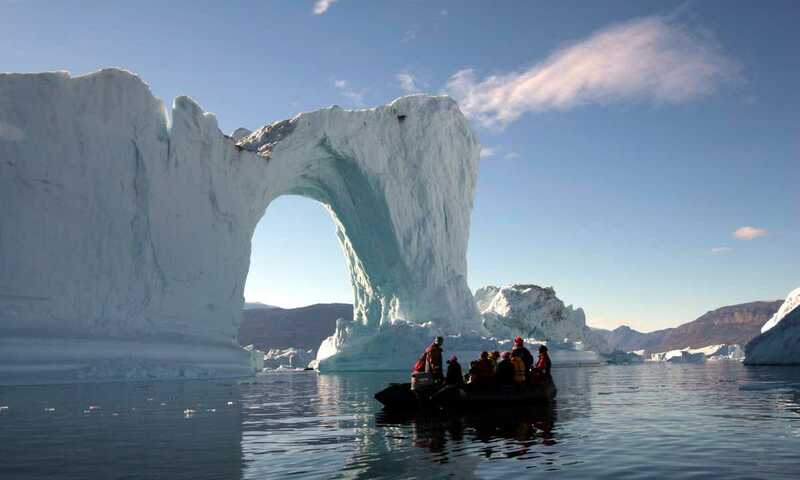 You may also enjoy a Zodiac cruise along one of the glacier fronts, along with a visit to the basalt columns and ice formations of Vikingebugt. In the afternoon the plan is to visit Danmark Island. In the morning you encounter colossal icebergs, some over 100 meters (328 feet) high and more than a kilometer (.62 mile) long. Most of them are grounded, as the fjord is only about 400 meters (1,312 feet) deep. 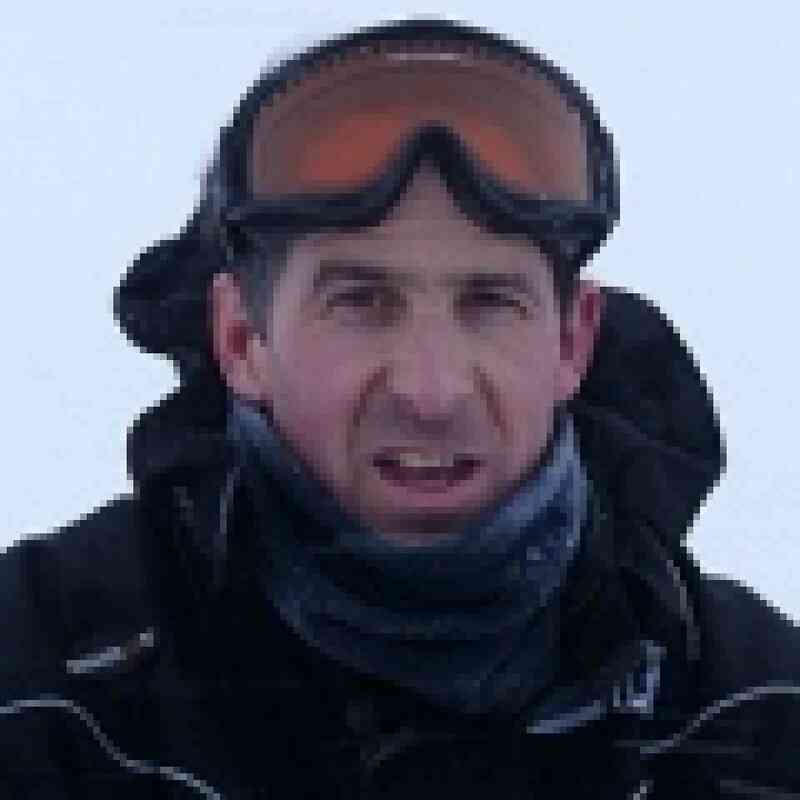 You then land near Sydkap, with fine views of Hall Bredning and a good shot of seeing Arctic hares. In the morning we land at Ittoqqortoormiit, the biggest settlement in the Scoresby Sund with about 500 inhabitants. At the post office you can buy stamps for your postcards, or just wander around to see the sledge dogs and the drying skins of seal, musk ox and polar bear. After dinner we will sail south passing the amazing landscape of the Blosseville Coast. In the morning, we arrive in Akureyri and upon request you can transfer by chartered bus to a centrally located hotel in Reykjavik (6 hours). The transfer is supplemented and must be booked and paid for in advance. I like this ship’s modern, contemporary styling - comfortable without being fussy - and her quiet engine. These departures are bi-lingual (English-German).